This mod is a reimagination of the Tinkers' Mechworks Drawbridges. Use them for creating bridges, doors or what your creative idea is to use these beautiful Drawbridges in your world. Just like a normal mod, by dropping the .jar in the mods folder. 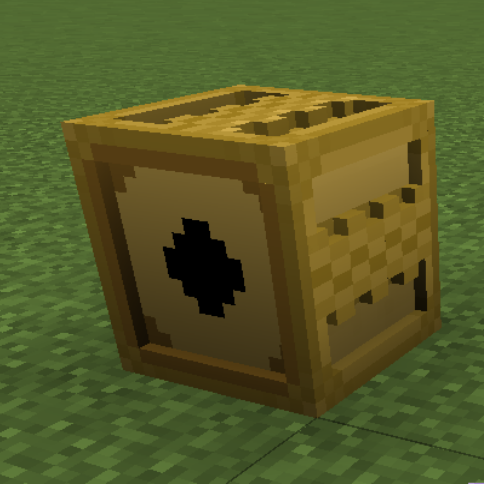 Feel free to use this mod in any mod packs! If you encounter a bug or another issue, please report this on GitHub. Note: If you change setting in the config, it does not change world gen in an already generated world. You will have to start a new world for changes to take effect. could we also get the wireless redstone? I guess we could? I don't see why not, maybe when the drawbridges work(with camo). After a long time of hard work, we have a new release! In this new release, we decided to rewrite all the code. This means major performance improvements and better functionality. There might be some bugs, but feel free to report them on GitHub or in the comments. although on GitHub is preferred. We want to be more active with updates and fixes. We hope you have a lot of fun with the new build! now for your problem, I tested this before release and just now again to see if I messed up before. but I didn't get ores to spawn. have you generated the world with that option on? or off? I screwed up testing twice. I tested with vanilla recipes on too. That is the reason I didn't get ores. We also might know the reason why it isn't working. We will prepare a fix today. We are updating the mod! We hope you will have fun and use it for many great builds! In Vanilla resources only mode, there is no recipe for the Advanced Drawbridge. So, I've turned off useOwnOres in the config, but the ores are still spawning. Am I doing something wrong? I've been having the same issue. It's very annoying. small question: If I set useOwnOres in the config to false, will the mod still generate it's own ores in the world, or does this just disable them for the recipes? Awesome, thank you very much for the quick reply! The texture feature is not existing at the moment. Vacation is over so the development is going to start soon again. I dont see a issue tracker but the block mocking mode isnt working on there drawbridges? Only thing I can tell you and might be helpfull is that you can put any block in there that you can place down in your world.